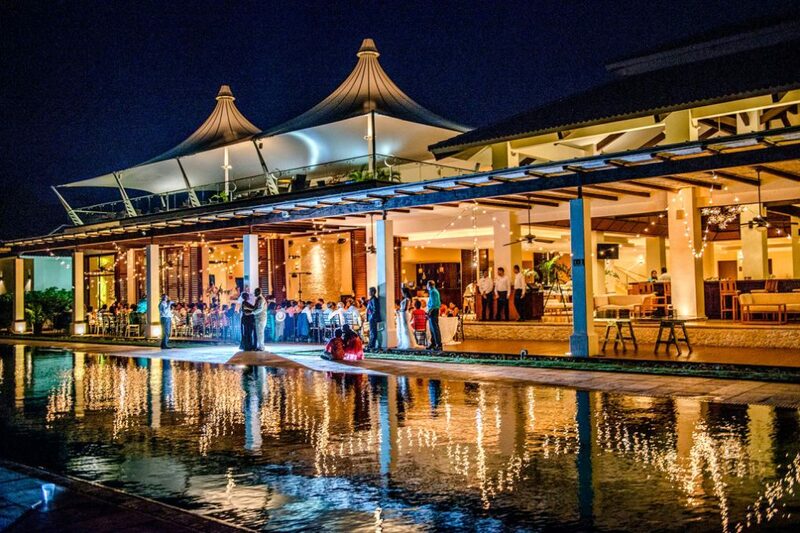 Christine and Matthew had a wonderful Costa Rica destination wedding with the help of Mayela Calvo, the Event and Wedding Coordinator, at the Doubletree Central Pacific which is located along a volcanic sand beach and a perfect base to explore the region. 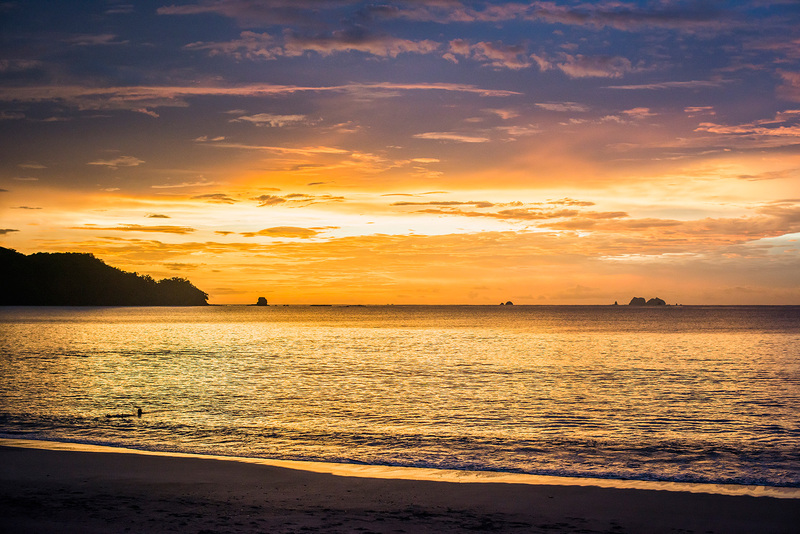 The Doubletree resort is 11 km from the village of Puntarenas, 12 km from Catedral de Puntarenas, and within the region of Puntarenas Pier and Victoria Park. Christine is Canadian and Matthew is Australian, and they currently reside in Australia. 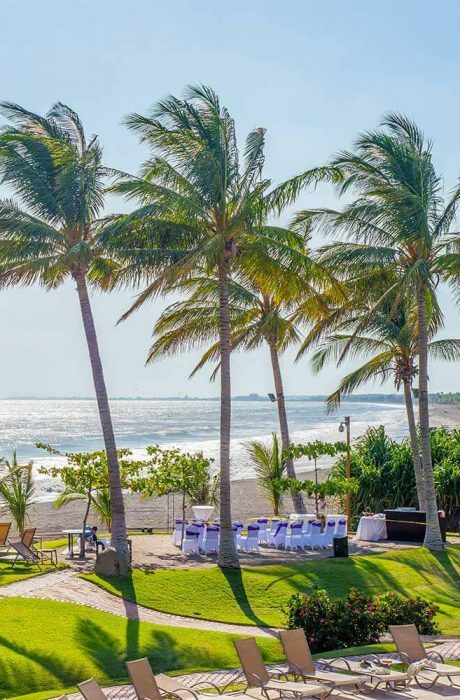 They chose Costa Rica as a central point between the two countries for their destination wedding so both families would be able to attend their wedding. 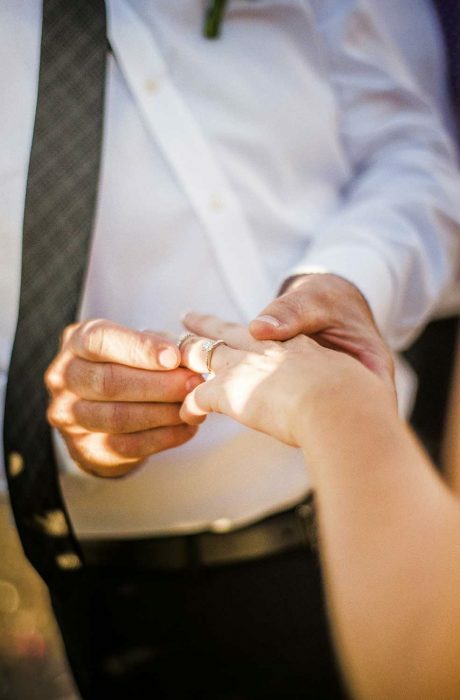 Their day started with both Christine and Matthew preparing and getting ready for this very special day. Christine has her shoes and wedding dress waiting as her hair and makeup are done before donning her wedding dress, while Matthew prepares in another room. 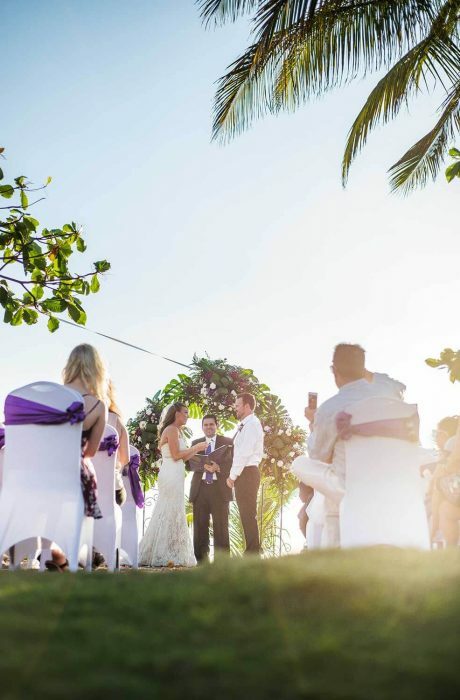 Once the couple is ready for their ceremony, Matthew and the families head to the beautiful setting overlooking the beach with the swaying palm trees where the ceremony was to take place. 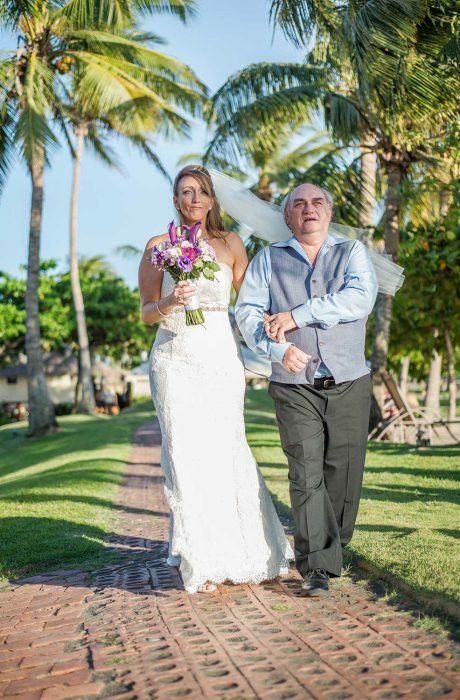 Christine and Matthew exchanged wedding vows under a magnificent arch adorned with flowers and giant split-leaf philodendron. After the ceremony the couple headed to the beach to capture some wonderful sunset shots along the beach and nearby pier before heading back to join their families and celebrate their new life together. A wonderful day that will live forever memorized in photos.